Laura's OB/GYN says she'd like to induce this Sunday night! So it looks like our baby will be coming a week early! We'll be sure to put up pics as soon as we take them! We’re writing today to let you know of two significant changes that will affect our lives for the years to come - our recent move to Campus Crusade for Christ’s international headquarters in Orlando, FL and the near arrival of our BABY BOY! Laura is doing well and is only days away from our due date! Crazy! We are so ready to welcome home our little boy. Can’t believe our baby won’t be born in Texas.... I guess everything can’t always be perfect! The past 2 years have been a time of growth and joy for us in Georgia. We’re so thankful for God’s provision in our lives—and are trusting in His faithful, good hand as we follow Him on this great adventure! The first change came about a month ago, when they decided the recruiting department, including Laura and myself, needed to relocate to our world headquarters in Orlando. This relocation is key in developing new national partnerships with other Campus Crusade ministries, primarily the Campus (college) Ministry. We believe that in doing so, our number of Student Venture staff will jump significantly as a result of having so many new college volunteers who, after graduation, would prayerfully join us full time. This partnership will enable us to leverage the common resources of each ministry to accomplish the mission of launching spiritual movements in every group of college students, high school students, and faculty. Keep in mind, we see that every one of our staff will personally touch the lives of well over 1000 students per year. So when we increase the number of qualified staff, the number of impacted students grows exponentially! After much prayer and consideration, we have accepted this opportunity and are looking forward to what this could mean in accelerating the Great Commission. This was difficult for us because we love our home in Atlanta, neighborhood, church, new friends, small groups, and doctors, but we feel God is leading us to invest the next years of our lives in this more significant way. Though it is tough, we do not ever want our comforts, possessions, or circumstances to hinder us from whatever the Lord would call us to do. I will continue to be on the national recruiting team, helping to partner with the college ministry, create, strategize and bring ideas to life that will continually increase the number of new SV staff. Please pray for our increased financial needs to be met, as we make this rapid transition. With a baby coming very soon and relocating to an insanely high real estate market in Orlando, we are forced to depend even more on the Lord's provision. When I lived here in 1995, Orlando was one of the cheapest places to live in the country. Things have changed! Within the last 2-3 years the prices have skyrocketed. We’re paying significantly more now and are getting much less in a house! 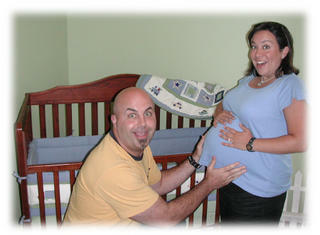 In order to be prepared for our baby’s arrival, we recently purchased and moved into our new home in Orlando. We will move our furniture once our Atlanta house sells. Please pray our house sells for a great price in the next few weeks, that the baby would remain healthy in his development, and for a smooth, healthy delivery and transition for Laura. We must raise $2650 in monthly support ($31,800 annually) to cover the new expenses of the baby’s delivery, additional salary with our expanding family, recovery of lost support, and increased cost of living in Orlando. In order to see this come in quickly, we are trusting the Lord to bring in several large contributions as well as many smaller ones. Would you consider a special gift toward our goal? Please give as the Lord leads, knowing whatever amount is significant to you, is significant to us. If you’re in a position to do so, please click here to make a contribution. We so appreciate and value your partnership with us as we work toward seeing the Great Commission fulfilled and many young people come to know Christ. What a joy! Thank you for your friendship and faithful support in our lives and ministry. We look forward to sharing the future with you!